The eight-song "Despertar Dos Chacais; O Outono Dos Povos" album by brazilian black metallers BRUTAL MORTICÍNIO,originally released in 2008 and rereleased in 2009, has been made available for download. The effort presents a sonority influenced by "old school" bands like Sarcófago, Hellhammer and Darkthrone. Greek thrash metallers SUICIDAL ANGELS have posted their first video clip from their upcoming album "Sanctify the Darkness", which will be out on November 20 via Nuclear Blast. The band will go on tour in January / February 2010 alongside the likes of KATAKLYSM, BELPHEGOR and DARKEST HOUR! Venezuelan black/death metal horde Noctis Imperium are now streaming their brand-new Imperium EP on their Myspace page. Including a killer Morbid Angel cover (“Maze of Torment”) and four original compositions of vicious extreme metal, Imperium is a harbinger of war and a venomous taste of what fans can expect from their upcoming full-length. Australian metallers BE’LAKOR have inked a deal with Italy’s Kolony Records for the European release of their 2nd album ‘Stone’s Reach’. The release of the album will be 30.11.2009. Quickly come to be regarded as one of Australia’s most promising and creative metal acts, BE’LAKOR has recently ventured across Australia for the first time, taking in performances in Melbourne, Adelaide, Brisbane & Sydney. BE’LAKOR can be described as melancholic and epic melodic death metal done in right Scandinavian fashion. Warfect is the new devastating Swedish act to sign with My Kingdom Music. New album "Depicting The Macabre" will release on November 16th, 2009. Legendary thrash metal band Overkill have inked a multi-album deal with Nuclear Blast Records. New album "Ironbound" will release on January 29. Emperor vocalist/guitarist Ihsahn's new album "After" will release on January 26 via Candlelight Records. U.S.A. based death metal band Immolation have entered Millbrook Sound Studios in New York with longtime producer Paul Orofino to begin recording their eighth album, due in early 2010 via Nuclear Blast Records. Swedish experimental extreme metal band Meshuggah will release their long-awaited concert DVD on February 5 in Europe and February 9 in the U.S. . There is no more information now. Swedish band Soilwork will enter the studio in January to begin recording their new album for a late spring release via Nuclear Blast Records. There are new improvements on Cenotaph's front.The band has signed an agreement with the American's Sevared rec. which has stood out with brutal death metal,death-grind genre in recent years.On the Russian front,an agreement with Coyote rec. has been signed.The band has already prepared songs of the new album.The name of the album,which has 9 songs in total,will be PUTRESCENT INFECTIOUS RABIDITY.The album,which will be recorded towards the end of 2009,will be released in 2010.Lillie Gruber,well-known from Defeated Sanity will be in drums in this album. 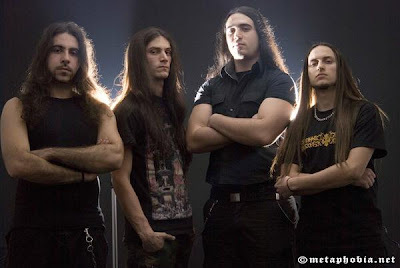 Italian death metallers HOUR OF PENANCE will enter 16th Cellar studio in Rome on August 27 with engineer Stefano Morabito to begin recording their as-yet-untitled fourth album.HOUR OF PENANCE's latest album, "The Vile Conception", was released on February 23, 2008 via Unique Leader Records. 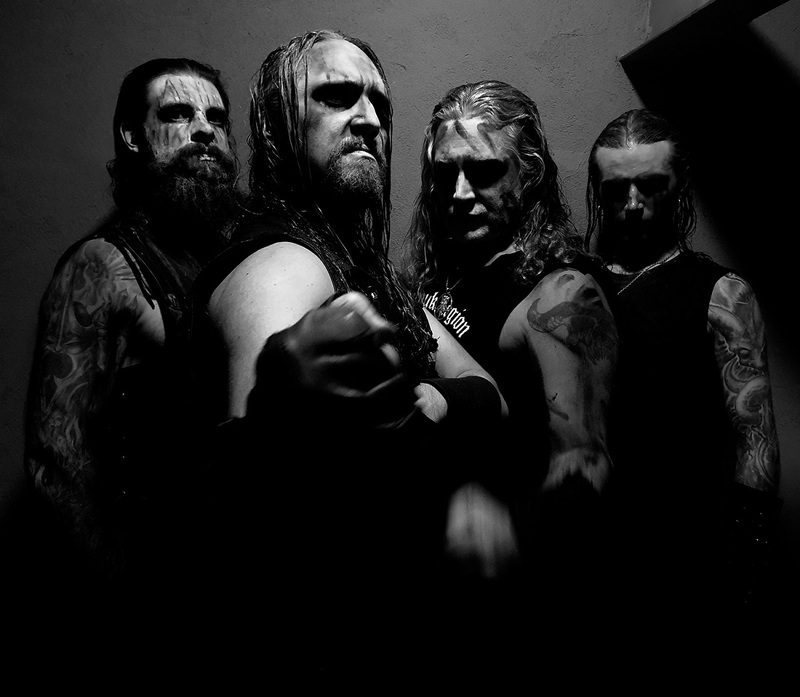 Swedish black metallers MARDUK will release their eleventh album, "Wormwood", in the U.S. on October 13 via Regain Records. The CD, which will be made available in Europe on September24, was recorded at Endarker Studios in Norrköping, Sweden with engineer/producer Magnus Devo Andersson. The album's release will be followed by a world tour, dubbed "Funeral Nation 2009/2010", which will kick off in Europe. "The Scars Between Us", the new album from San Francisco Bay Area metal veterans SKINLAB, will be made available for streaming in its entirety on the band's MySpace page beginning on August 12. The CD will be released on September 15 via Stand And Deliver Records. The band also shot a video for the song "In for the Kill",was filmed in May 2008 at the group's warehouse in Oakland, California with new, up-and-coming director Jourdan McClure and it features appearances by UFC fighter Nate Quarry and Greg Thompson.